The Robbery: companies and organizations regard training as a second class function and have robbed it of its potential impact on company results by treating training courses as recreational restoration, or necessary comic relief, or as a safety valve for organizational tensions. The Trial: with training as the prosecution and management as defence. The Verdict: training is found guilty of shooting itself in the foot or of perpetrating an inside job. 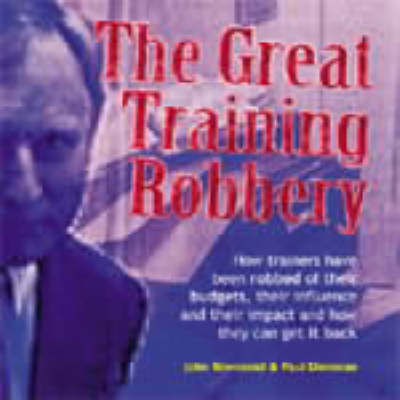 The Sentence: the steps that training needs to take to get the money back. The Pocketbook Series comprises more than 60 titles in the areas of training, personal development, management, sales and marketing and finance.